Thank you to all of those who entered the Virtual Radio Challenge IV and many thanks to the good folks at CountyComm Government Products Group who volunteered an amazing prize package! David Cripe (NM0S), our judge for the Emergency Radio Challenge IV, has reviewed all of your challenge entries (click here to read full challenge details). The following is Dave’s introduction, thoughts on emergency communications and assessment with comments and notes about the winning entries. The Ozark Patrol regenerative receiver kit is only one of Dave’s many 4SQRP kit designs. Greetings to the SWLing Post readers and to those who participated in Radio Challenge IV. When Thomas asked me to judge this contest, I was honored, and eager to help out. In introduction, I have been a licensed amateur radio operator for 34 years, holding the call NM0S. Thanks to the generous reviews on this blog, many readers may be familiar with my QRP radio kits produced through the Four-State QRP group. In my home town, I’m know as the guy who does ham radio with the Boy Scouts, setting up and operating a full off-grid campsite field station at ARRL Field Day and the Scouts’ Jamboree On The Air. This has been a great learning experience both for the boys and myself, as a great way to determine what works and does not in less than ideal circumstances. Professionally, I work for a defense contractor, with expertise in military radio systems and their power requirements. On a personal note, I’ve had first-hand experience with emergency radio communications during the Mississippi River Flood of 1993, Hurricane Isabel in 2003, and the Cedar Rapids Flood of 2008. My evaluation of contest entries were based on these first hand experiences, and lessons learned from published accounts of other natural disasters. The parameters of the Challenge were drawn from these first hand experiences. To make the evaluation of the contest entries as fair as possible, I kept off of the SWLing Post blog during the duration of the contest, arranging with K4SWL to send me the compiled entries with identifying information removed. In an emergency or natural disaster, as power and communication infrastructure is damaged or degraded, the main avenue for transmission of information to the populace will be the oldest and most common broadcast medium – AM radio. Most middle-sized towns have a station, and most families have a battery operated portable receiver. The local new/talk station will become a conduit of information on hazards, evacuations, and requests for assistance. This essential component of the emergency communications kit is the item that most people already have. There are other sources of information that can provide detail that will not be presented in a radio broadcast. A VHF/UHF scanner pre-programed to local utility frequencies, as well as FRS and GMRS frequencies will let you monitor emergency responder traffic, as well as up-to-date NOAA weather broadcasts. Those bearing an amateur radio license have the opportunity to not only monitor, but to participate in disaster relief. If two-meter repeaters remain in operation, amateur radio operators have often served to supplant or replace overloaded phone services between hospitals, police, and other first responders. Where the devastation from a disaster is more extensive, or if you are forced to evacuate to a remote location, local communication infrastructure may be completely absent. Shortwave radio broadcasts from around the world can supplement local broadcast media. To handle health and welfare messages from an isolated group, when cell phone reception is absent, long-haul radio capability is required. In many disasters, this has been commonly done using portable HF radio transceivers. When our Boy Scout troop embarks on a high-adventure trip, a satellite phone is packed along. This alternative has the advantage of being able to be used reliably without any skill or licensing. This raises a valuable point: there has been in recent years a surge of interest in amateur radio among those interested in emergency communication and preparedness. Amateur radio is a powerful tool for communication, and can be an invaluable emergency resource. However, without the user skills acquired through their frequent use before an emergency occurs, the challenge of operating unfamiliar radio equipment in a critical situation greatly reduces their utility. Without practice in using repeaters, participating in nets, or passing message traffic, the added stress of having to learn these skills under pressure may make a bad situation worse. In short: if you get an amateur license and equipment, use them. A further requirement is the ability to power the communication equipment. Power-hungry transmitters will burn through batteries quickly. The selections available for rechargeable batteries are numerous, but options for charging are somewhat more limited. Thin-film solar panels have recently become an economical power choice for portable operations. Other options, such as hand-crank generators and thermoelectric converters can provide power when sunlight is not available. With the Challenge entries in hand, it was a matter of evaluating each versus the stated goals of the Challenge. I was impressed by the documentation accompanying most entries, and justification of choices made. Nearly every entry specified a portable general-coverage receiver with shortwave and SSB. The Tecsun PL-660 was a popular choice. Radios of this type are very versatile, reasonably economical, and capable of receiving a wide variety of broadcast signals. Many of the entries included a BaoFung dual-band HT. This is another excellent choice. Although lacking features found in more expensive HTs, they have the capacity to perform scanning, and can be pressed into service as a FMR or GMRS transceiver in an emergency, The economy of these radios makes their inclusion an obvious choice. Most entrants showed a great degree of thought in their selection of power sources. Many included solar panels or hand-cranked generators to maintain power over long-term operation. A minority of entries added equipment capable of long distance two-way conversation. For the most part, these consisted of low-cost fixed-frequency QRP CW transceivers such as the Chinese Pixie or Frogsounds kits. The shortcomings of these kits is having the skills needed for proficient operation–thus limiting their utility–but they are better than nothing. One entry took a different approach to long-distance communication; I consider it the winning entry. I’ve already had this idea on my mind, because I live in a densely populated city (Tehran) and the possibility of an earthquake in near future is not improbable, so the least I could do is to be mentally prepared. I’ve already bought things like torch, portable radio, and even a real US military compass!! First of all, I chose the Tecsun PL-310ET for this scenario. Why? I need a light portable radio and it’s got all the functionality I require (AM/FM for local/regional news and SW for international news). I don’t need weather broadcast as we haven’t got that service here. SSB is also not required (found in better models like PL-660). I have also added a 12 pack of AA batteries for it. The third item is a cheap and small VHF/UHF two way radio which lets me listen to local authorities (fire/emergency/…) and other organizations’ radios and also communicate with them in case of emergency. It can also be operated on FRS/GMRS. I’ve also included two spare batteries. (Because the total price of all is above 35$, they’ve got free shipping). 5- A good rig (even a used one) is more expensive than our budget. I’ve also selected two spare batteries for Thuraya plus a SIM card. The sum of all these items is $397.99 and I’ve considered portability, availability and power selecting these gadgets. I also should stress that I have also considered the compatibility and availability of these gadgets in my own country, so it may not be the best match for US citizens. I’m not sure if Thuraya has US coverage, so it could be replaced by something like Iridium or InmarSat. Also, US citizens may benefit from Weather/NOAA enabled radios. If I were allowed to spend a little bit more, I would include a solar panel charger (about 20 dollars) too. P.S. My solution is based on some presumptions, most important of them is leaving house on foot. If I were allowed to spend more and I could bring my car with myself, I probably would select a Yaesu FT-817 which operates on HF/VHF/UHF bands and can be powered from car battery and just needs a car-mounted antenna (It can be replaced with all above items). To a kit containing a BaoFung HT and a Tecsun PL-310, Mehdi added a Thuraya satellite phone. Even though I am a ham radio fanatic with a bias toward HF radio operation, I recognize that the ability to achieve reliable worldwide communication using a device with a minimal operator learning curve gives it a clear advantage for communication in an uncertain environment. While Mehdi specified a list of battery options for his setup, he was not able include a means of recharging within the $400 budget. He did, though, mention the possibility of adding a low cost solar panel, substituting it for one of the spare battery packs would have been a prudent option. While Mehdi’s solution is very good, it should be recognized that the satellites employed by the satellite phones do have vulnerability to EMP and CME, as would any other communication method requiring terrestrial infrastructure. 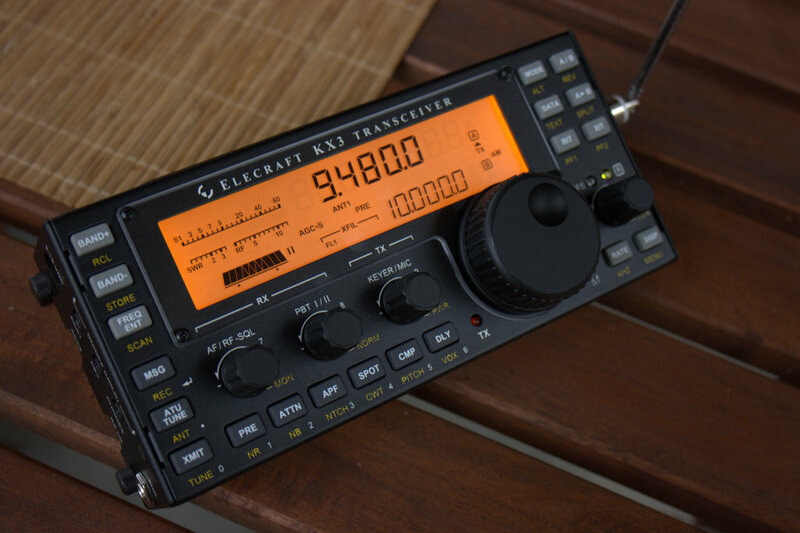 I would prefer to see a high-end HF transceiver included as part of the communication package, though this is very challenging within the cost target of the Virtual Radio Challenge. Within that cost constraint though, the satellite phone is an excellent choice. A very close runner up is the entry submitted by Ashok, who in his write-up described his emergency experience during the landfall of a super cyclone in his home of Cuttack, near the Bay of Bengal. During October 1999, there was a super cyclone in Bay of Bengal. The land fall of the cyclone was near Paradeep port in the Coastal district of Jagatsinghpur. Cuttack, my QTH, is about 90km by road and about 70km by air. The intensity of devastation happened in cuttack due to Super Cyclone is frightening. Till date those who have face to face with that have never forget the dreaded situation that day. In the morning at 9:00 AM wind started and power supply failed within 5 minutes. The only way to get news was through radio. Unfortunately, we were not aware that such a severe cyclone is on the way, so batteries for radio and flash light were not available. My Father and Uncle were worried and wanted to know what is the situation and precautions we should take. As batteries are not available, I reached out to my “junk box”. I found a IN34 diode an MW antenna coil a 2j Gang capacitor a old telephone earpiece. Immediately I joined them in to a “Crystal Radio” (no soldering just connected those with hookup wires). I managed to receive Local HPT MW broadcast station AIR Cuttack. Gradually wind condition and rain got worse with the passing time. In the evening about 8pm I heard the announcer saying “only GOD can help us survive this cyclone–we wish to speak to all our listeners tomorrow, if we survive” and after that suddenly the transmission is broken and nothing is heard. Later we learned that the transmitting tower was uprooted. Since then, Odisha has faced major cyclones like Phailin (October, 2013) and Hudhud (October, 2014). Though the devastation is not that widespread but damages are too heavy for a poor state like Odisha. Currently I am trying to get a Restricted grade or General grade Ham Radio license. After I get the license I can operate in the HAM bands, but Citizen Band radio doesn’t require a license in India, hence currently I have only one FRS radio (though FRS and CB radios are not popular in my part of India). Still there is a hope that a nearby monitoring station or defense establishment may pick up my signal and may come to rescue. What I propose is as follows. 1) A very good standalone radio receiver (Eg. the Tecsun PL-660). A World band radio can be useful to get news from any available station nearby. The stations in the area hit by cyclone may not have any transmission facility, hence nearby broadcast stations can relay news about the situation. My prior experience says one must be prepared for 3 days survival. To survive in a natural calamity like a cyclone, food and water is a must. 2 packs of biscuit and 4 liter of water is enough for only one day. Next 2 to 3 days can be managed after the cyclone recedes by exploring nearby area. In emergency situations generic medicines are vital for survival to fight odds. these medicines are for tropical cyclone survival. To cut clothes, scale wood for fire. PIXIE transceivers are easy to construct, very small in size and Low power consuming QRP devices. situations like natural calamities or devastation need smaller devices. it also can be powered from a 9v transistor battery. Voice communication is needed as we can communicate naturally with peers at other end and can convey our feelings easily. Also there is a psychological factor: when we hear a comforting voice we gather our courage and patience. Antenna tuners come in handy as we don’t have proper antenna during and after disaster. 10) A 12v 7amp hour maintenance-free rechargeable UPS battery. this is the prime battery for several purposes. With 4 9v transistor batteries and the Pixie QRP transceiver, I can use it in extreme condition. These batteries are needed by the DK7IH transceiver, so 1 or 2 sets extra will be nice to have. To charge DK7IH trx batteries. and also for charging the 12v UPS battery. Can be usable after the cyclone recedes. Cloud cover recedes few hours after landfall. The most heavy parts are 12V 7Ah battery (2 Kg approx), next heavier thing is solar panel around 1/2 Kg. The Tecsun PL-660 is next 470 grams. So total weight of communication system and power sources combined won’t exceed 5 Kg, Which is comfortable for a back pack. The above prices are for radio communication purpose only. But survival of a cyclone not only depends on communication. It needs a presence of mind and making the right decisions. The DK7IH hand held transceiver is a very compact and nice looking rig. I have it in my wish list I guess it wont exceed more than $100.00. A hand crank genset is good for situations when sunlight is not available. But it can be considered optional. I have considered the 12v 7Ah lead acid maintenance free battery from Indian market it costs Rs.850.00 which is $16.00 approximately. If I am not taking the hand-crank generator then the remaining money i can go for few meters of wire, some biscuits and water bottles for me and other survivors. Ashok’s setup included a Tecsun PL-660, a Baofeng UV-5R, a Pixie, a wire antenna and QRP antenna tuner, and a homebrew 20M SSB transceiver based on the DK7IH design. Power was provided by 12v, 7AH SLA, and NiMH AAA batteries, recharged by a solar panel. Ashok also had budgeted emergency food and first aid supplies, which while not required in the Challenge, are still an important consideration for emergency preparedness. While the 20M SSB transceiver is not as reliable for long-distance communications as a satellite phone, it does have one important advantage: it is not reliant on satellite infrastructure that would by impacted by EMP or CME. As I write this, there is a massive relief effort underway in Chennai India as devastating floods affect the region. There are reports of amateur radio operators providing emergency communication to those affected. Lessons learned from this tragedy will help guide us for future emergencies. Exercises like this Radio Challenge help prepare us to face these very kind of situations. First of all, I’d like to thank all of those who entered the Virtual Radio Challenge! The Virtual Radio Challenge IV was probably the most demanding of any reader challenges we’ve posted so far. Congratulations to our winners: Mehdi and Ashtok! I would also like to thank CountyComm Government Products Group. Readers should know that Nick, with CountyComm, is a ham radio operator and regular SWLing Post reader. When Nick read about our third radio challenge, he wanted to sponsor our next challenge. Fortunately, I had already started working on a draft of this challenge in the SWLing Post hopper. CountyComm was a perfect fit as a sponsor since much of their product line is used either in tactical situations or for emergency preparedness. Nick went above and beyond the call of duty with his prize package–he has been an enthusiastic supporter. Having a prize makes the whole hypothetical challenge even more fun. Thanks, Nick! Last but not least, I’m very grateful to our judge, David Cripe (NM0S). Dave is a busy guy in both his professional life and in his spare time. When I approached him about being a judge, he knew it would entail hours of research. This was a blind evaluation–Dave only knew entrants by first name or initials. He spent several days worth of his spare time during the Thanksgiving holidays researching product specifications, comparing, evaluating and picking our winners. He is the most knowledgable engineer I know on this particular topic, too. We’re quite fortunate to have him as a resource for this challenge. Thank you so much, Dave! Early in 2016, I’ll post another–completely different–radio challenge. Like our other challenges, it is based on actual SWLing Post reader questions. I believe it will be a more accessible challenge for those of you who are new to shortwave and ham radio. 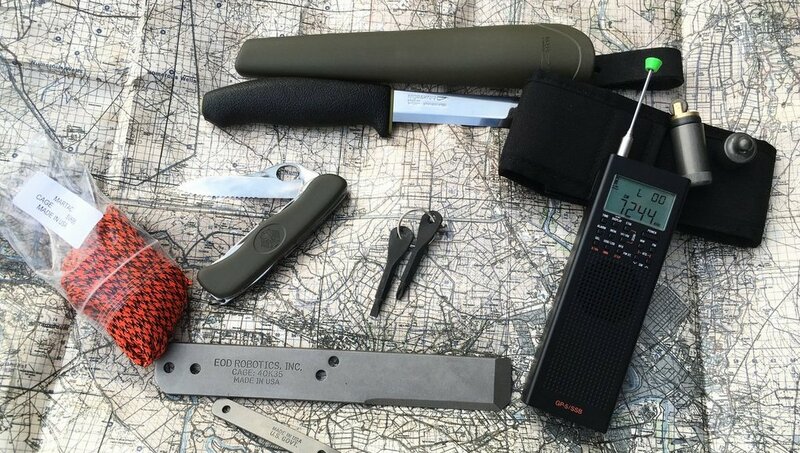 This entry was posted in News, Preparedness, Reader Challenges, Shortwave Radio, Specials and tagged BaoFeng UV-5R, CountyComm, CountyComm GP5/SSB, Dave Cripe (NM0S), DK7IH Handheld Transceiver, Emergency Preparedness, Pixie II QRP Transceiver, Prepper Radio, Prepper Radios, Radio Challenge, Shortwave Listener Contest, Tecsun PL-310ET, Tecsun PL-660, Thuraya SG-2520 on December 9, 2015 by Thomas.